Themes of motherhood, parenting and medicine enlighten the writing and interests of this well-known Jewish pediatrician. Perri Klass was born on old newspapers during a tropical downpour in a small nursing home in Tunapuna, Trinidad. It was 1958, and her father, Morton Klass, a cultural anthropologist with a specialty in religion, was doing field research for his Ph.D. in the nearby town of Felicity. a Fittingly, her welcome into the world already contained the seeds of her future: She has intertwined her talents to create a career as a pediatrician, medical journalist and author. Last year, she collaborated with her mother, Sheila Solomon Klass, on a memoir told in alternating voices. Every Mother Is a Daughter: The Neverending Quest for Success, Inner Peace and a Really Clean Kitchen (Recipes and Knitting Patterns Included), published by Ballantine, reflects the overlapping ways in which mother and daughter “echo and resemble each other, and also the ways in which we seem to come from different species,” Dr. Klass writes. Sheila Klass, 80, is herself the author of 17 books (16 are fiction). She recently retired from her position as an English professor at Manhattan Community College, City University of New York. Her daughter’s accomplishments are quite impressive: She studied at Harvard University and Harvard Medical School; published a groundbreaking article in The New York Times in 1984 about being pregnant in medical school, followed by many articles for national publications; and has published 11 books, both fiction and nonfiction. “I’ve spent a lot of my life trying to make medicine more understandable and less frightening,” says Dr. Klass. Her books include four collections of essays—A Not Entirely Benign Procedure: Four Years as a Medical Student (Plume); Baby Doctor: A Pediatrician’s Training (Ivy Books); Two Sweaters for My Father (about knitting; Xrx Books); and her latest book, Treatment Kind and Fair: Letters to a Young Doctor (Perseus). Dr. Klass is also the author of three novels, two short-story collections and a parenting guide. She has received numerous awards for her writing, including the James Beard Journalism Award for writing on diet, nutrition and health, five O. Henry Awards for short fiction and the 2006 Women’s National Book Association Award. She serves as medical director of the national program Reach Out and Read, which promotes literacy as part of pediatric primary care. Her New York apartment is lined with bookcases—one holding the 11th edition of the Encyclopaedia Britannica from 1911, another topped with a collection of teapots. An array of beaded pocketbooks hangs on a living room wall, a quirky contrast to the formal upholstered furniture. 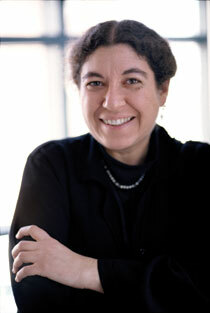 Sheila Klass describes her daughter as “funny and kind, smart, tough, sensitive and a great joy,” with a “gently cool, authoritative voice.” At the joint interview, the two seem to enjoy their lighthearted sparring, which they have honed almost to a comedy routine, joking about things that might make others defensive. “I relished writing about Perri’s housekeeping,” she says about the not too tidy house. “She’d been waiting for years,” her daughter acknowledges, unfazed. “All worthwhile people are difficult adolescents,” her daughter shoots back. “Perri can see many parts of a problem and communicates in an effective and straightforward manner,” says Dr. Barry Zuckerman, chairman and CEO of Reach Out and Read and chief of pediatrics at Boston Medical Center, Boston University School of Medicine. He adds that his colleague has been instrumental in helping Reach Out and Read grow to 3,100 sites nationally in the 13 years she has been associated with it. Dr. Klass is married to Larry Wolff, a professor of history at NYU. Their three children are Benjamin Orlando, 23; Josephine, 18; and Anatol Elvis, 13. “We had fun with their names,” she says. Any notion that she has been able to resolve the conflicting pulls of family and career disappeared with an article she wrote for The New England Journal of Medicine. The piece, “So Where’s My Medal?” explored being both parent and professional and concludes that the family-career decisions she makes don’t add up to a strategy; they “add up to who I am,” Dr. Klass notes. A voracious reader from an early age, she enjoys “traditional 19th-century girls’ books” by authors such as Louisa May Alcott and is a fan of British writer Barbara Pym. She and her daughter belong to the Betsy-Tacy Society, devoted to the books of Maud Hart Lovelace, who wrote a series on a girl who grew up to be a writer. Dr. Klass’s passion for knitting borders on the poetic. “I knit across the generations,” she says, “perfectly mindful of all the symbolism involved: knitting for my children, knitting for my parents, trying to tie the family together, shaping warm garments to hug people closely.” And she likes to read cookbooks and cook, from easy weekday meals and borscht for a pink Valentine’s Day dinner to gefilte fish and latkes from scratch. Both Dr. Klass’s parents were children of immigrants. Her mother rebelled against her Orthodox upbringing that precluded Jewish education for girls, but her father had great affection for his East European heritage, studying Yiddish and providing his children with Jewish learning. “I feel very much as my father felt, very linked to Judaism,” says Dr. Klass. She attended the Harvard Hillel Worship and Study Minyan in Cambridge and is now a member of a minyan associated with a Conservative synagogue in New York. Besides the time in Trinidad, the Klasses spent one year in India when Perri was 5 (mother and daughter visited both places together in recent years). Dr. Klass attended a convent school (the only option for girls) in West Bengal. She excelled all around. In high school, she became enthralled with biology, making it her major at Harvard. The study of malaria brought her in contact with the medical world, and she realized that while she loved research, she was drawn to practical applications and working with people. Professionally, she identifies more as a physician than a writer. But, Dr. Klass adds, “I’d be a writer no matter what else I was.” Her siblings are also writers: David Klass is a screenwriter and novelist; Judy Klass is a college professor, playwright and poet. Despite the plethora of details she provides in her writing about her own family, she creates boundaries to protect her essentially private personality. Until now, Dr. Klass’s writing was relegated to late nights and weekends. She hopes to integrate it into her life in a more “systematic, rigorous, sane and mature way,” she says. Her NYU classes are the first she’s taught in journalism: They include one on epidemics and the media and one on writing about families and children. Dr. Klass stresses that storytelling and medicine are not as separate as they may seem at first glance.